The first mineral makeup brand I have tried and actually loved was Babydoll. That was back in 2005. To date, I have not really tried very many brands that have made a considerable impact on me that made me really jump fence and say, “It’ll be mineral makeup for me from here on out.” My leaning towards organic and things natural should easily have me do the switch. The latest mineral makeup I have tried were that of Virginia Olsen Minerals from my December Saladbox. Yes, I love the blush’s pigmentation. But I have yet to try their other products. 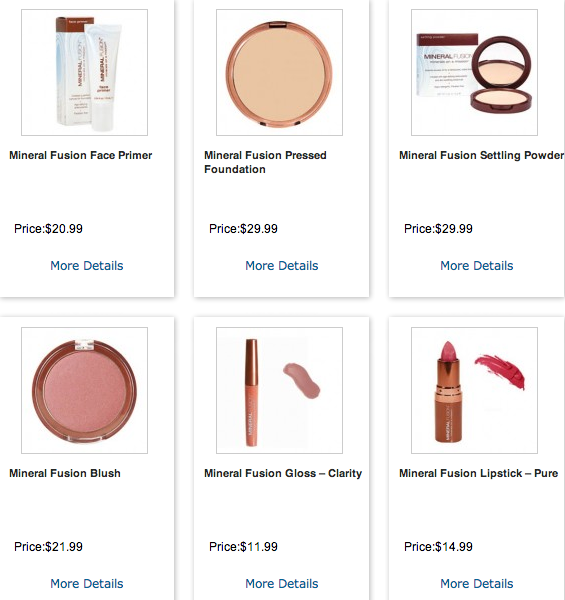 A few mineral makeup enthusiasts who have reviewed different products have been raving over Pure Body Beauty Mineral makeup. I love that all of their products are free of gluten, parabens, artificial colors, fragrances and talc. Were never tested on animals are Hypoallergenic.